Home / BLOG / SEE THESE EYES SO GREEN. SEE THESE EYES SO GREEN. 6 years ago I walked out of the cinema after seeing Kill Bill and I was more excited about film than I probably ever was in my life. Last week I saw Tarantino's newest film, Inglourious Basterds. It's a little hard for me to articulate why I enjoy Tarantino so much. Maybe it's the music he chooses, or the dialogue he writes. Maybe its his stylistic choices, the little things he does, the playful way he tells a story. Maybe its how he builds tension in a scene, in the case of this film, he is a master of tension. Maybe its how his presence is there even though he is not physically there on the screen. He is the auteur, all that we see is directly from his mind. I think most of all it is how he crams a whole history of filmmaking into his films. I always say that his films are films about films. Every director is inspired by his favorites, Tarantino takes his favorites, chops em up, and arranges them into a movie all his own. 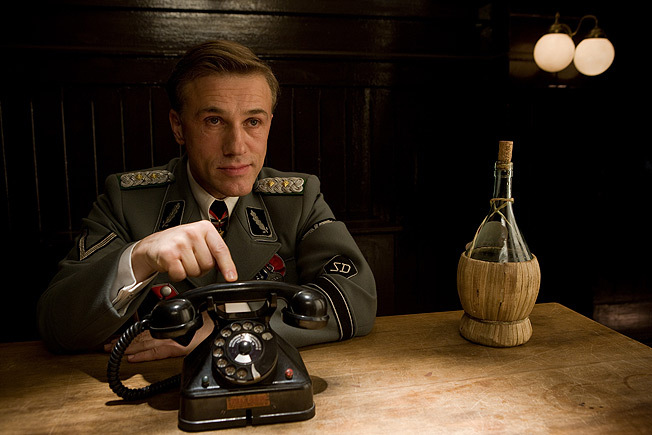 With Inglourious Basterds, Tarantino makes a World War II Spaghetti Western and it makes perfect sense. In classic Tarantino fashion, we follow the story of a few main characters and in the end their stories converge into one finale. Even if you end up hating this movie, I think the ending alone will make up for it. While not historically accurate, it is so satisfying in so many ways. I don't want to talk in specific detail about the movie because I don't want to ruin it for those who haven't seen it. I watch a fairly good amount of films, as you might start to tell from the recent blog posts, but this film is definitely one of the best I've seen this year. 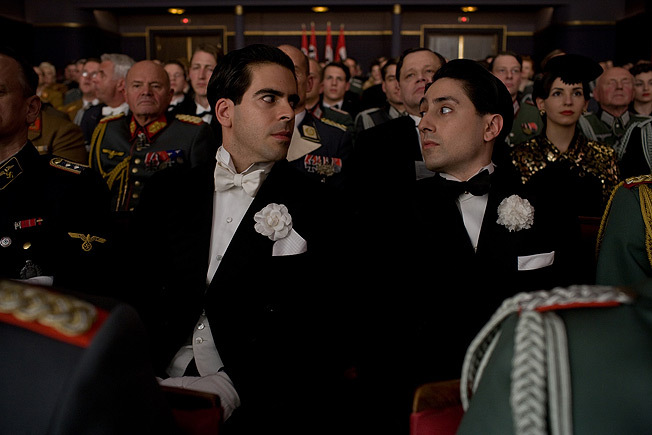 The final line in the film, spoken by Brad Pitt's character Aldo Raine, "This might be my masterpiece" can be seen as a nod from QT. While I don't think this is my favorite from QT, Kill Bill still holds the highest ranking for me, this film is great. It's well worth checking out and stands up to repeated viewings as well. Tarantino's films are always fun and exciting, this film is no exception.